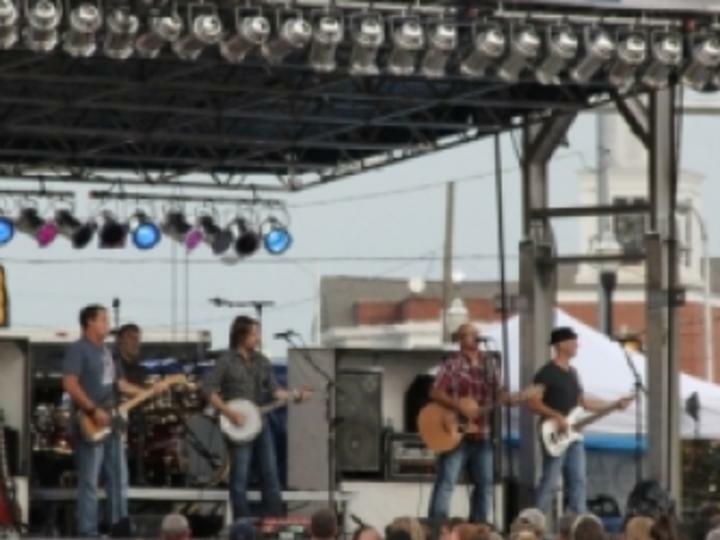 Decatur, Ala. – The Main Street Music Festival returns to the streets of downtown Albertville in August bringing with it some big name entertainment. Set for August 4-5, 2017, the free event brings up-and-coming and nationally recognized musicians to the north Alabama community, and headlining this year’s event is Bret Michaels, former lead singer of metal band Poison. On Friday, August 4, gates open at 4 p.m. with live music getting underway at 5 p.m. with a performance by local band Soul Survivor followed by Jacksonville’s (Ala.) own accomplished musician, Riley Green. Headlining this year’s event is multiplatinum global superstar, Bret Michaels who is set to take the stage at 8:30 p.m. Rising to fame as the front man of Poison, one of rock’s most iconic and enduring bands, he helped define the rock ‘n roll scene on the Sunset Strip. Their massive success includes selling over 30 million records worldwide and numerous hit singles. Equally as successful, Bret’s solo career has charted its own course with multiple solo albums. His last album, Custom Built, topped the charts, reaching #1 on Billboard’s Hard Rock list. On Saturday, August 5, gates open at 9 a.m. and music runs continuously all day long. The lineup includes Ashley Pitts, Crossroads Assembly of God, Fall Into Grace, Two Tone Willie, Albertville High School Jazz Band, Joe Pritchard, Chelsea Webb, Jeremy Noble, Country Case, Nick Longshore and the Barefoot Blues Band, the popular Sweet Tea Trio, special guest Jacob Bryant, and John Anderson. With a career dating back to the 1970’s, John Anderson is known for hits such as “Seminole Wind,” “Straight Tequila Night,” “Swingin,” “Wild and Blue,” “I Wish I Could Have Been There,” “Money in the Bank,” and many more. His career has produced 23 albums, more than 60 singles, and a wealth of industry awards. From 4 to 7 p.m. on Friday and 9 a.m. to 5 p.m. on Saturday, children can cool off in the inflatable water park. Additional offerings during the two-day event include an art exhibit, a zip line course (10 a.m. to 2 p.m. Saturday only), a beer and wine garden, food vendors and shopping among the many arts and crafts vendors. All activities take place on Main Street/Alabama Highway 205 in downtown Albertville unless otherwise noted. Admission is free. For more information, visit www.mainstreetmusicfestival.com. AMLA is a nonprofit organization dedicated to the promotion and development of the travel industry within the 16 northernmost counties of the state. It is supported by 500-plus members consisting of chambers of commerce, Convention & Visitors Bureaus, attractions, campgrounds, festivals, communities, counties, golf courses, restaurants, tour operators, accommodations, vendors, financial institutions and individuals. Counties included within the AMLA region are Blount, Cherokee, Colbert, Cullman, DeKalb, Etowah, Franklin, Jackson, Lauderdale, Lawrence, Limestone, Madison, Marion, Marshall, Morgan and Winston. Additional information on North Alabama destinations, accommodations and special events is available from by calling 800.648.5381 or by visiting www.NorthAlabama.org.